Brown Bag Films has been recognised for its work on the Peter Rabbit animation. 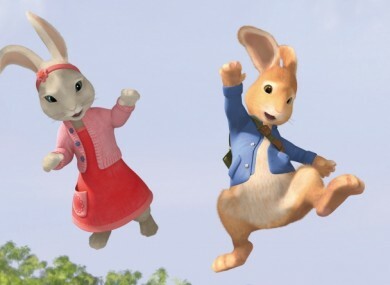 BROWN BAG FILMS have bagged three Emmy’s for its work on the 3D animation series Peter Rabbit. The Irish based company produce animation for the international market. The studio said “We’re delighted to be bringing back three awards!”. The winners of the Outstanding Individual Achievement in Animation award were chosen from over 100 entries by a juried live panel in Los Angeles. The winners were awarded the prestigious awards at the Daytime Creative Arts Emmy Awards at the Beverly Hilton Hotel. Brown Bag Films was founded 20 years ago by Cathal Gaffney and Darragh O’Connell. Peter Rabbit is a Silvergate Media production in conjunction with Penguin UK and Nickelodeon USA. We’re thrilled that the work of these three exceptional artists has been acknowledged. “Stephen,Mårten and Eddie were challenged with bringing to life a refresh of an iconic property and did so with artistic skill and an unprecedented attention to detail that is apparent in every frame of Peter Rabbit. We recognise that it is a competitive field and take great pride in this extraordinary achievement. Emmys are the Oscars of the Television industry so this a fitting testimony to our entire talented and hardworking team here at Brown Bag Films and our partners at Silvergate Media, Penguin UK and Nickelodeon USA. Email “Irish based animation company bring home three Emmy Awards ”. Feedback on “Irish based animation company bring home three Emmy Awards ”.